The Molot VEPR shotgun and rifle are no longer imported due to the US sanctions. The only remaining VEPRs in the country are those that were purchased or imported prior to the ban. If you own a VEPR, check with FIME Group for available parts and accessories to upgrade your magazine inventory. Whether you have the standard or the short barrel 12-gauge shotgun, feed your VEPR with high-quality Molot factory magazines. These OEM magazines are reinforced with a polymer body to insure years of reliability. They are offered in 5, 8, and 10-round magazines. The VEPR rifle magazines come standard with a metal reinforcement around the top, along with a polymer body. There is a wide variety of magazines available for each model of the VEPR. Please visit our website for a list of all available magazines. Built on the same standard as the military RPK, Vepr rifles are 50% more reinforced than a standard, stamped AK rifle. Each rifle has been manufactured using state of the art technology, effectively creating a robust rifle that will last through not just a lifetime but for many generations to come. The RPK-style barrels are hammer forged and chrome lined using techniques that make them four to five times stronger than a standard AK barrel. The ergonomics and padded stock reduce recoil, making for an enhanced shooting experience ideal for the range or hunting. Due to the US sanctions, we can no longer import Molot Veprs. Most of the units that were available just a year ago are gone. While we still carry a limited amount of Molot Veprs, our stocks are depleting quickly. Please check with your distributor or retailer to see if they still carry a Vepr product. 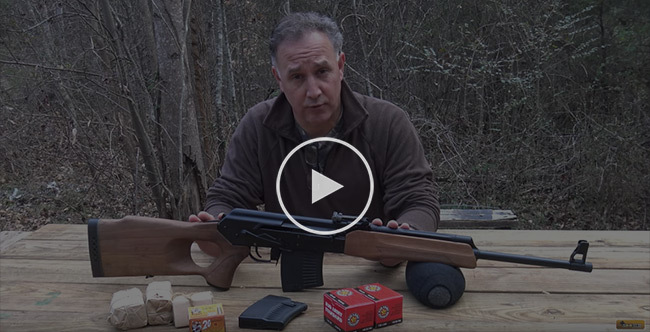 The VEPR is one of the three guns that is featured in this video review by The Military Arms Channel. 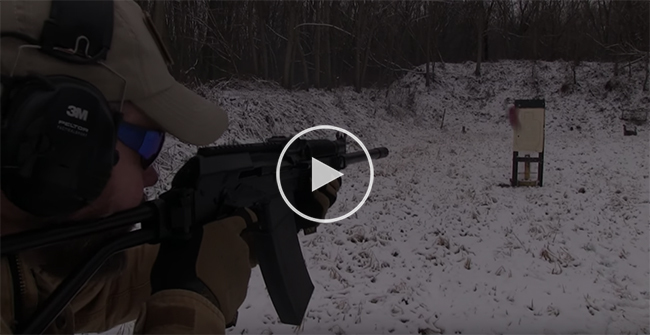 To learn more about the Molot rifle, please watch this in-depth review for more details. The VEPR is a versatile rifle, which makes it a solid and reliable hunting firearm. Whether you are hunting or simply hitting the range, you will want to learn more about this rifle. Built on the same standard as the military RPK, Vepr is 50% more reinforced than a standard, stamped AK rifle. Each rifle has been manufactured using state of the art technology, effectively creating a robust rifle that will last through not just a lifetime but for many generations to come. The RPK-style barrels are hammer forged and chrome lined using techniques that make them four to five times stronger than a standard AK barrel. Vepr .243 features a look similar to an AK, with a thumbhole buttstock and walnut foregrip. The hammer forged, chrome lined barrel, and a scope rail is riveted to the side of the receiver for easy mounting for any Picatinny-compatible scope. Each rifle comes with high quality, beautifully crafted walnut furniture as well as a rear sight with adjustable windage. As you may be aware, this rifle is sanctioned and only available in limited quantities. 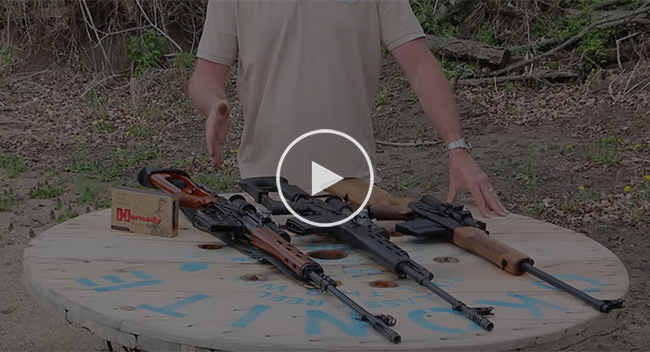 If you’re interested in learning more about Molot products, please watch this video review by Sootch describing them as, “Accurate, easy to handle and one of the best AK variants.” Molot rifles are also available in a number of different calibers such as the 6.5 grendel, .308, .223, and more. Please see our full inventory here. 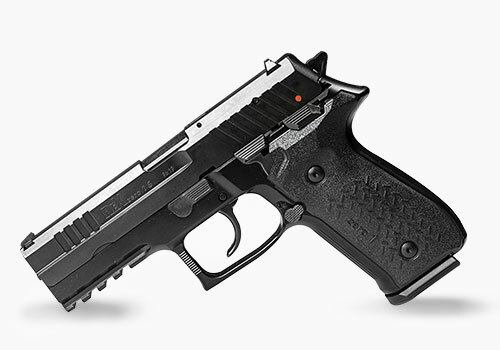 The REX Zero 1 is available in a variety of different colors and grips. Today we want to feature the OD Green and Grey models for the REX Zero 1. You can choose both colors for the Standard or Compact model. The grey model is a popular color choice for most gun collectors because of its neutral color tones. The grey is a subtle yet eye-catching color. Alternatively, the OD Green is a deep, rich color. The green is instantly comparable to an army green. The OD Green was brought in as a very limited quantity and are not projected to be restocked, making it worthy to anyone’s collection. 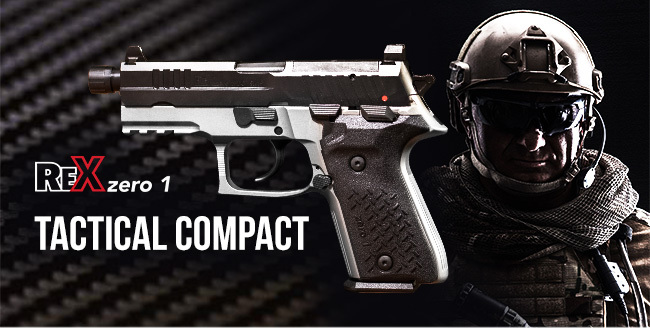 There are more options to choose from when deciding to customize your pistol. 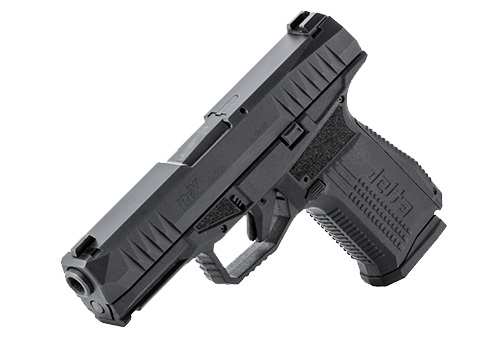 The REX ZERO 1 is available in different configurations such as nickel, FDE, black, and more. 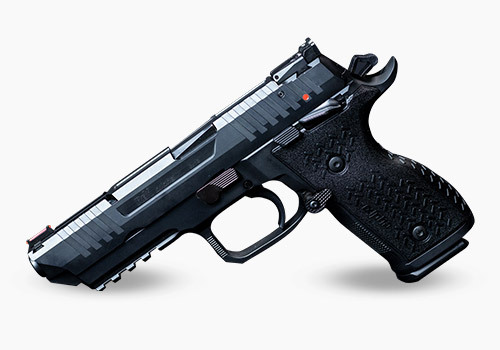 You can purchase your handgun with Hogue grips which are also available in Mascus or Dark Earth. Click here to see all available options. 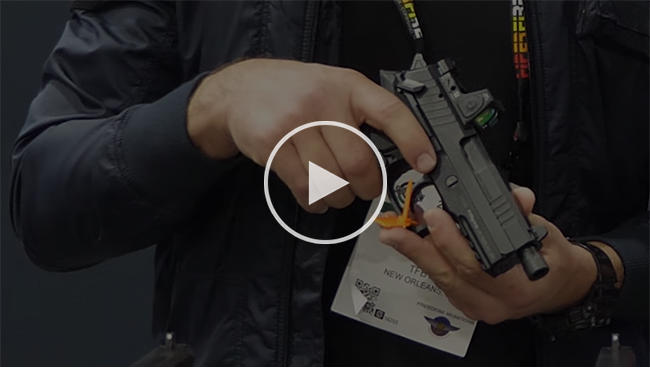 The colors aren’t the only impressive attributes about the REX Zero 1. 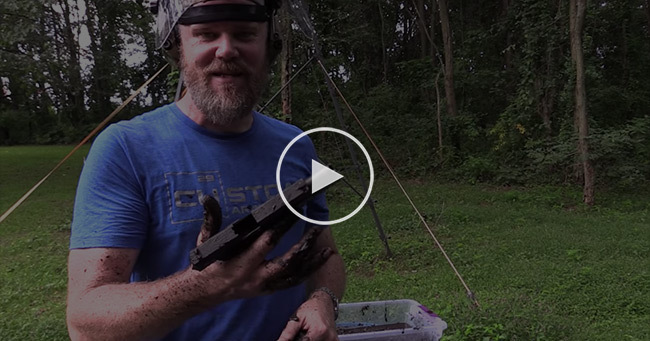 The handgun has withstood a brtual torture test featured by the Military Arms Channel. Click here to see the full video.